Honolulu City Council members continue to harbor strong reservations about a deal that would pave the way for the island's cash-strapped rail transit line to borrow hundreds of millions of dollars in bonds leveraged against the city's general fund. 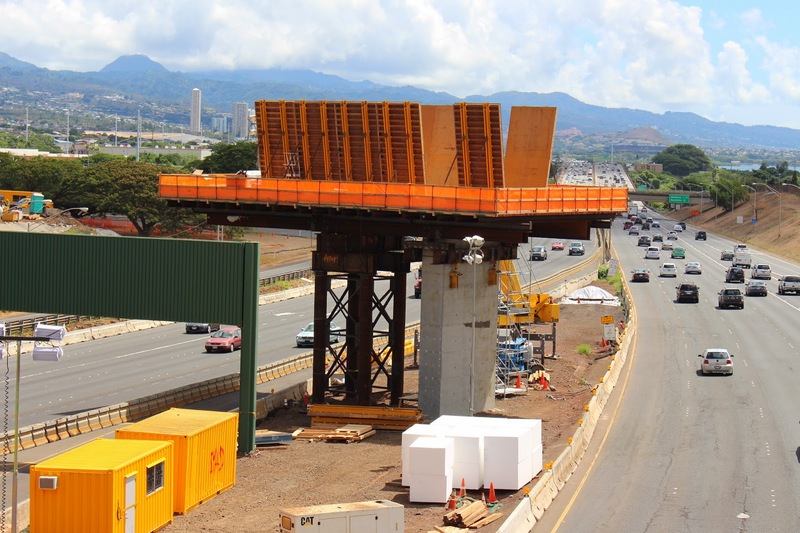 On Wednesday, Council members spent much of a Budget Committee hearing grilling rail officials on the project's new financial challenges — and airing concerns that the Council lacks sufficient oversight over the largest public works project in Hawaii's history. Star-Advertiser. The Honolulu City Council's Budget Committee deferred a resolution that would allow the city to issue as much as $350 million in bonds to cover short-term financing for the elevated train. KITV4. Clean energy advocates, solar trade groups and community organizations are asking Hawaii regulators to hold off on approving NextEra Energy’s acquisition of Hawaiian Electric Industries until there are firm plans in place outlining the state’s energy strategy. About half of the 12 groups go so far as to urge regulators to open up the sale of HEI to other bidders. Civil Beat. Hawaii is the second-worst state in terms of taxing its lowest-income residents, according to a new study by the Institute on Taxation and Economic Policy and the Hawaii Appleseed Center for Law and Economic Justice. Pacific Business News. The Joint Legislative Money Committees are continuing to review budget requests from state departments and agencies this week. Today, lawmakers heard from the corporation responsible for operating neighbor island healthcare facilities. Hawaii Public Radio. Ongoing contract negotiations with port workers on the West Coast are having an impact here in the islands. The Pacific Maritime Association, which represents shipping companies like Horizon and Matson, says due to the negotiations, longshoremen have begun to stage slowdowns at many ports on the West Coast. It’s been going on since October. KHON2. Scott Topping has left his position as chief financial officer for Hawaiian Airlines. The state's largest carrier said Wednesday that he has been replaced on an interim basis by Shannon Okinaka, who had served as vice president-controller since 2011. Star-Advertiser. The union that represents city refuse workers wants to stop Honolulu Mayor Kirk Caldwell from eliminating garbage disposal service for about 181 condominiums, apartments and other multifamily properties and nonprofit organizations, calling the move "an unlawful privatization" of a city service. Star-Advertiser. The lawyer for the man once accused of stealing Honolulu Police Chief Louis Kealoha's mailbox met Wednesday with the FBI about the police department's handling of the case. Star-Advertiser. FBI investigators met with a federal public defender Wednesday to discuss the strange case of Honolulu Police Chief Louis Kealoha’s missing mailbox. But neither attorney Alexander Silvert or an FBI spokesman would say any more about what sort of case might be in the works involving the chief and the Honolulu Police Department. Civil Beat. A former Honolulu police officer was sentenced Wednesday to nearly three years in prison for trying to extort $15,000 from the owners of a local hostess bar. Associated Press. Former HPD cop will spend almost 3 years in federal prison for extortion. Hawaii News Now. Since the U.S. Navy handed Kalaeloa Airport to the state nearly 16 years ago, the state's No. 2 airport has been home to dozens of commuter planes, flight schools and corporate aircraft. But the state is proposing to quadruple rents for many, forcing the departure of several businesses. Hawaii News Now. Waikiki Elementary School teacher Catherine Caine is in the running for the 2015 national teacher of the year award — the first Hawaii finalist in more than a decade. Star-Advertiser. Condo owners locked in fight with developer. Star-Advertiser. Work at the Hu Honua Bioenergy LLC plant in Pepeekeo has resumed, with the facility set Wednesday to receive deliveries of equipment for installation. Meanwhile, the project was named this month the state’s top “Clean Energy Leader” by the Hawaii State Energy Office. Tribune-Herald. A brush fire ignited by the June 27 lava flow has been contained after burning about 300 acres, said Darryl Oliveira, Hawaii County Civil Defense administrator. Tribune-Herald. The hull of the wrecked sailboat Hawaii Aloha has been cut up and removed from the beach in North Kona. Salvage crews finished removing the 78-ton hulk from the shoreline near the Four Seasons Resort Hualalai on Sunday, the state Department of Land and Natural Resources confirmed Tuesday. West Hawaii Today. The Central Maui Landfill Refuse and Recycling Center completed a monthslong project Friday to install three 65-foot wind turbines to generate electricity and thousands of dollars in annual taxpayer savings on power bills. Maui News. Developers of a 68-unit town house complex in Wailea are finalizing their design plans, though there's no construction timeline yet, the project's planning consultant said Tuesday. Maui News. The Kauai County Council will have at least another month to iron out the details on a proposed law that would declare air pollution that endangers public health or causes property damage a public nuisance. The seven-member board, by a 5-1 vote, gave their initial OK to the proposal outlined in Bill 2573 on Wednesday. Garden Island. The Kauai Lagoons project, including the 27-hole Jack Nicklaus-designed Kauai Lagoons Golf Club, has been sold to Honolulu developer Ed Bushor’s Tower Development, Inc. Garden Island. When the state public charter school commission turned down her request last year to establish a charter school on Kauai, Deena Fontana Moraes was disappointed. But not deterred. Garden Island. The Maui County Council's Planning Committee will begin a review of an update of the Lanai Community Plan this week. Maui News.